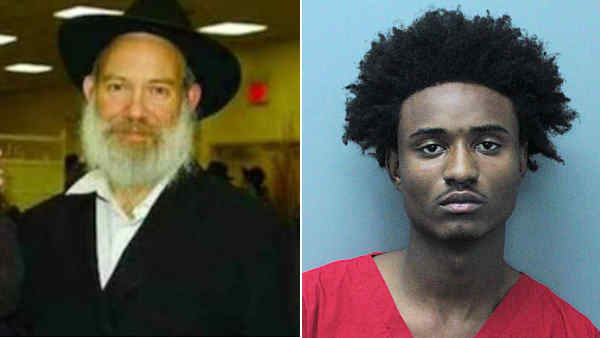 MIAMI -- Charges have been dropped against a teenager accused of killing a New York rabbi in Miami. News outlets report that the Miami-Dade State Attorney's Office said in a statement Tuesday that there wasn't enough evidence to prove without a doubt that 16-year-old Deandre Charles was guilty of killing Rabbi Joseph Raksin. Sixty-year-old Raksin was fatally shot Aug. 9, 2014, as he walked to a temple in Miami, where he had been visiting family. The state had been relying on DNA evidence and cellphone records to charge Charles. Prosecutors also say the gun used in Raksin's death had been used 30 hours before in an armed robbery. Charles' attorney Adam Goodman says his client has maintained his innocence since his 2015 arrest on murder and robbery charges.